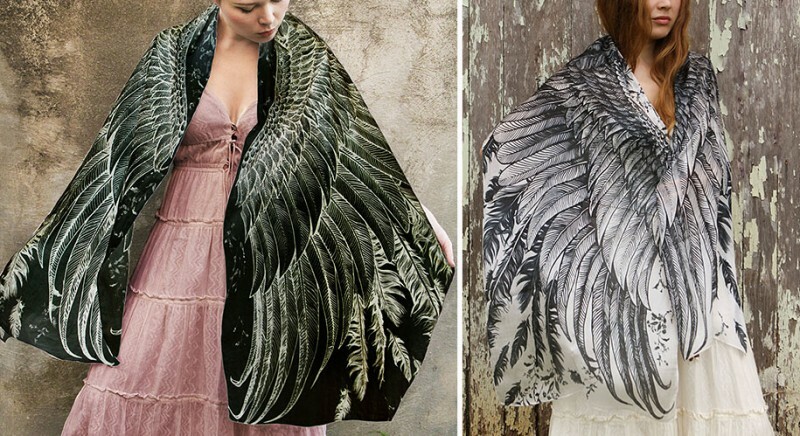 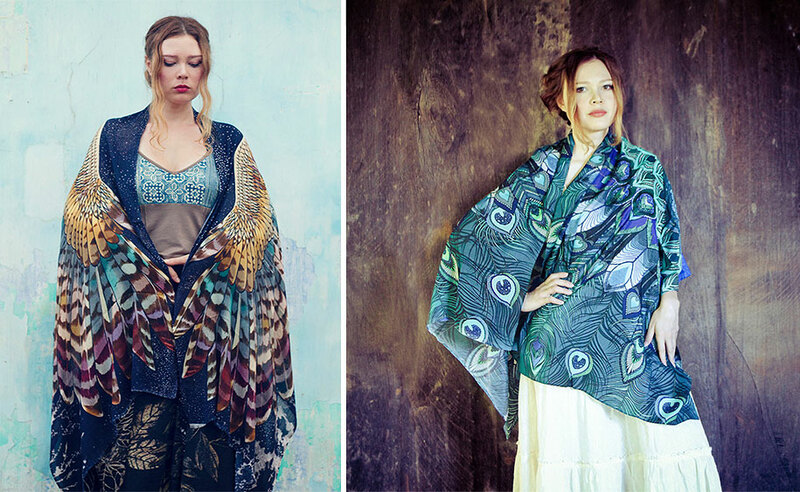 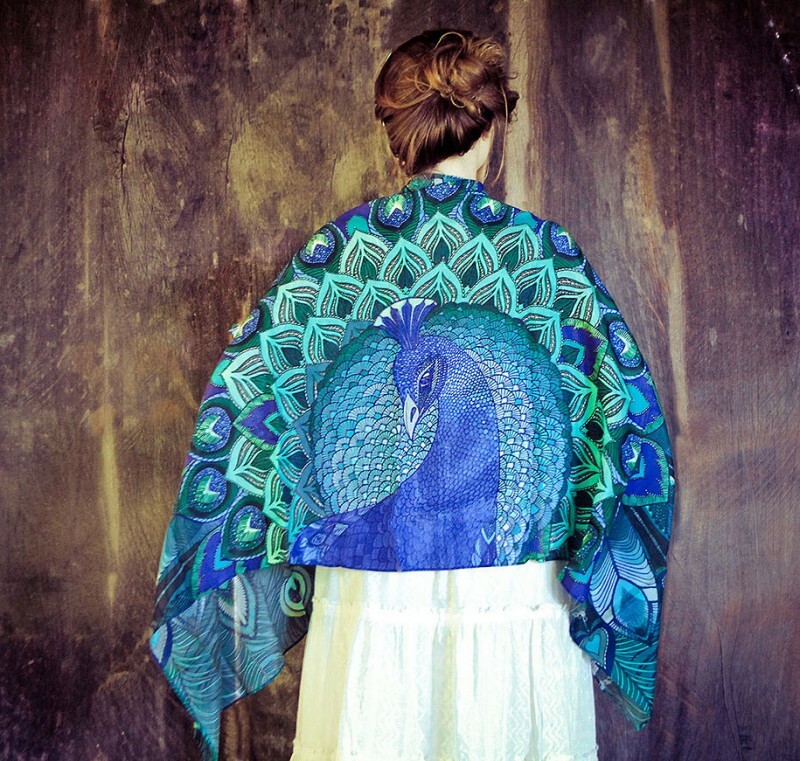 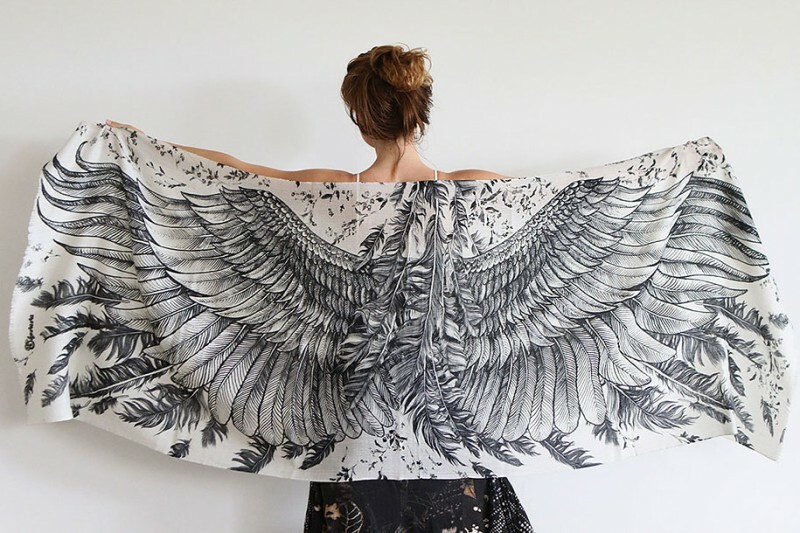 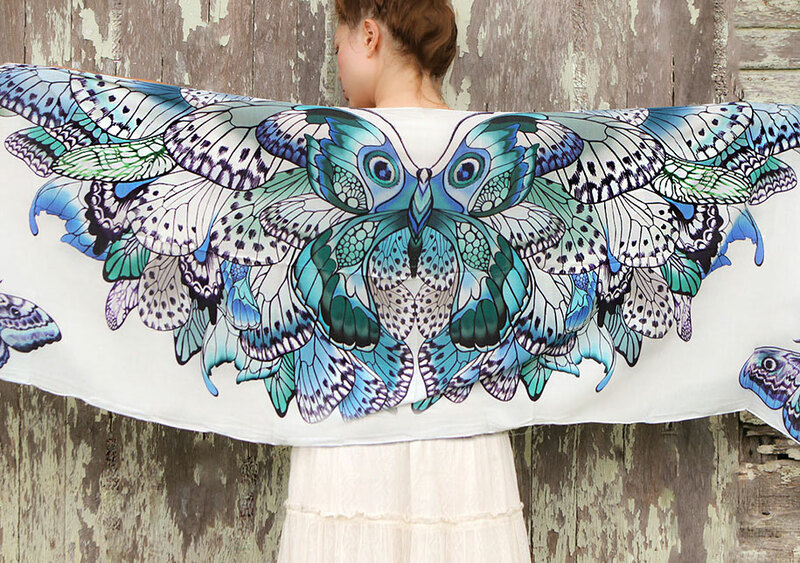 Melbourne-based fashion designer Roza Khamitova has created a series of original and glamorous scarves that has the bird motif in a stylish way. 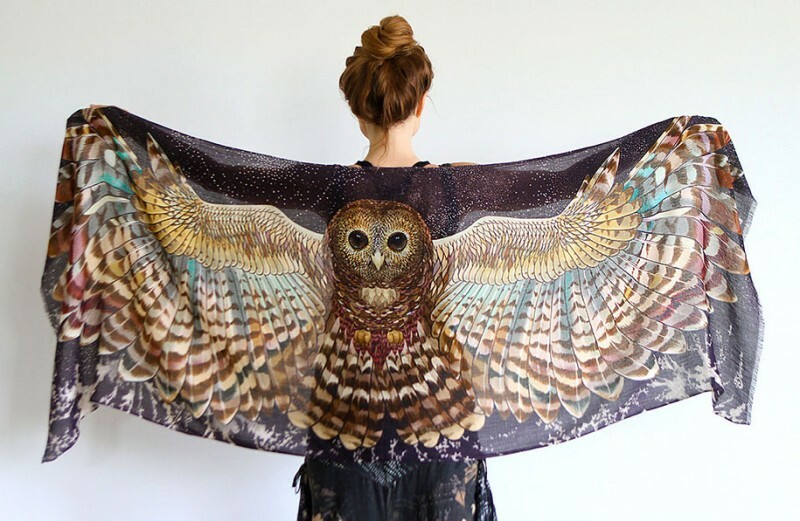 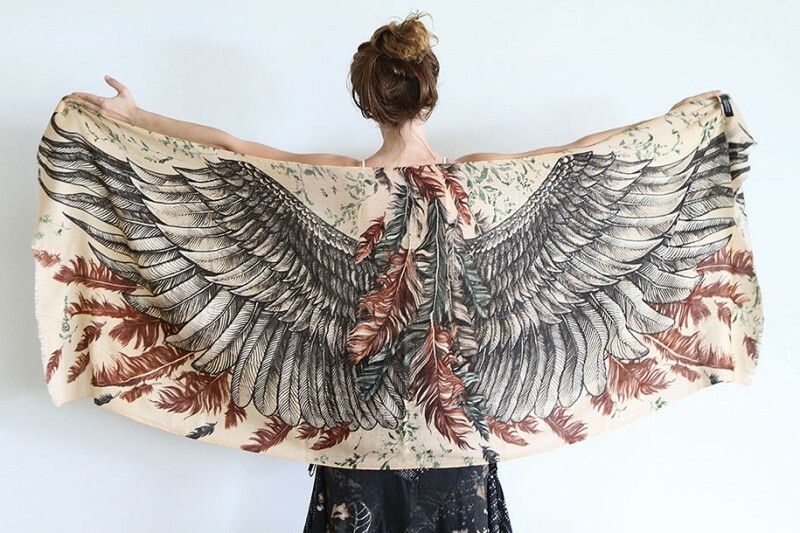 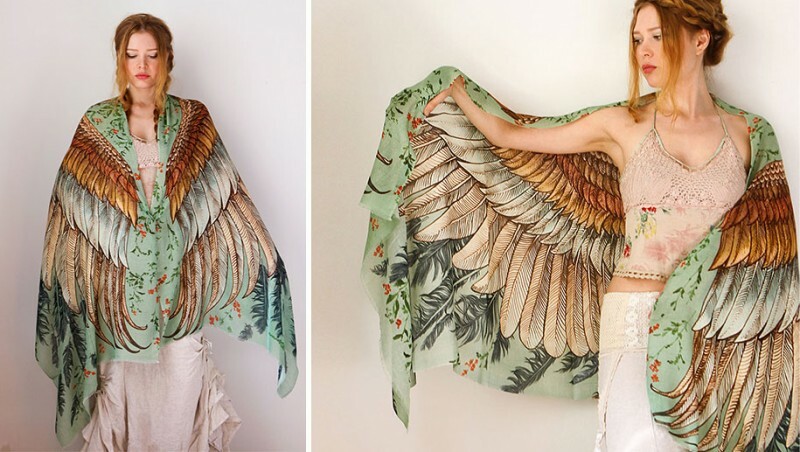 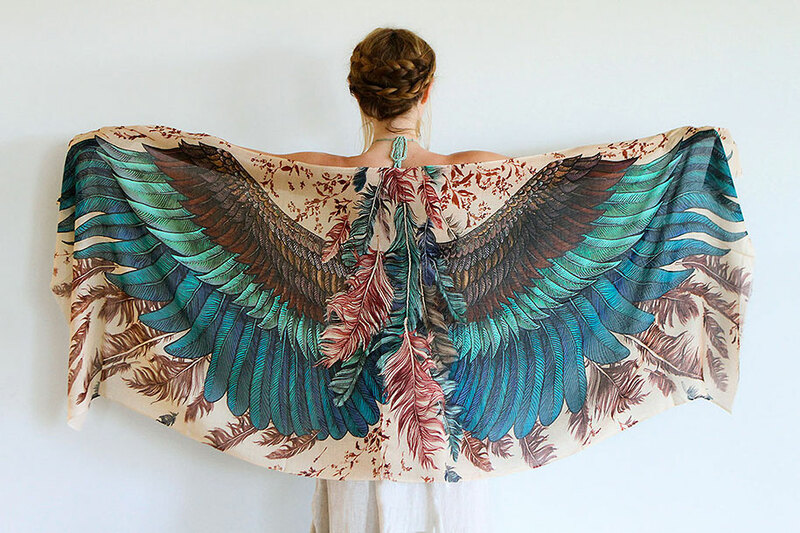 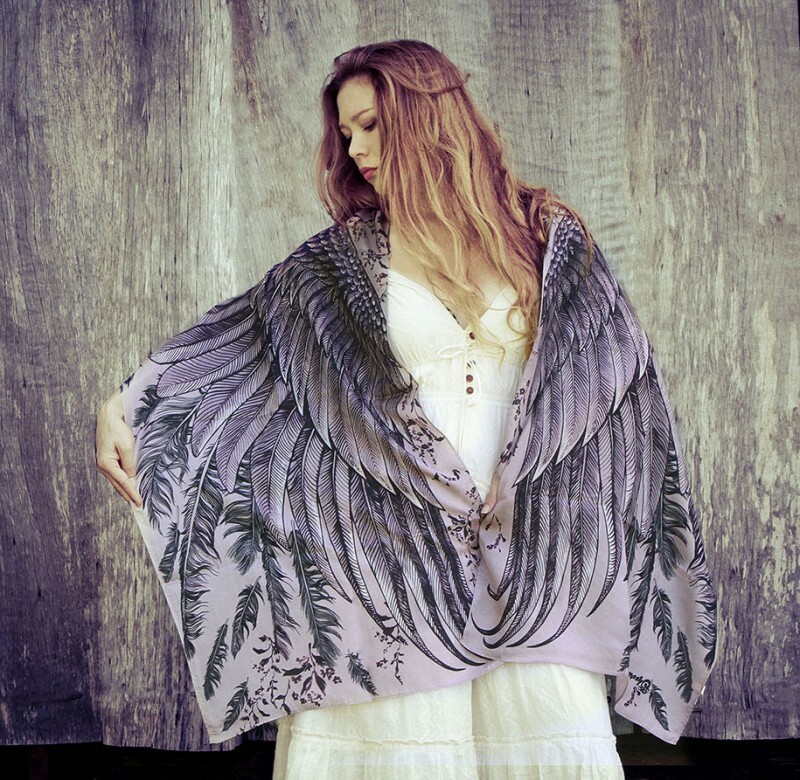 These handmade scarves are made of natural materials like cotton, etc, and Roza Khamitova claims that the materials she uses are no-itch, non-toxic and recyclable, then she digitally printed and hand-paints her unique designs that come in different colors. 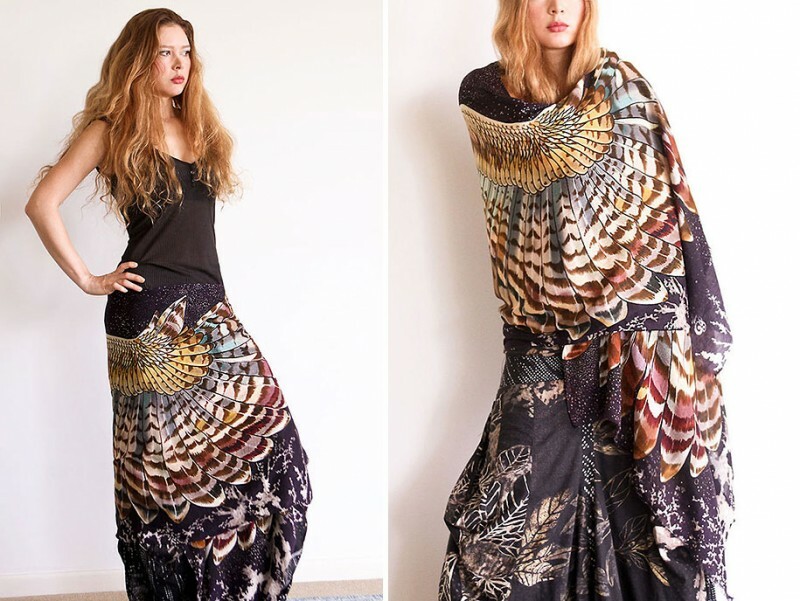 The creator’s products are available in “Shovava“, which is an Etsy e-shop all about original and trendy women clothing and accessories run by Roza herself.